Recruiters, or headhunters, have pretty rough reputations. People think they’ll put you in a bad job, or never find you a job at all. In reality, working with a recruiter can be a very pleasant and easy process if you have the right recruitment partner! If you are on the hunt for a new job, a recruiter is a great option to assist in your search. First, you’ll need to do your research and find a reputable firm in your area, or in the area you’re looking to work. Check out company websites, Google and Glassdoor reviews and social media pages. This will give you an idea of who you want to work with. In some cases, you may not have been seeking a recruiter – they might find you! If a recruiter is looking for someone just like you to fill a job, they may reach out to you with an opportunity. In this case, you’ll still want to do your research, but it never hurts to at least take the time to hear about the opportunity at hand. This is where it gets easy. Once you’ve vetted your opportunities and reached out to a recruiter, they’ll want to set up a call with you. They’ll ask about your skills, what kind of job you’re looking for, what location you want to work in, what will make you say no to a job and what your salary expectations are (don’t be afraid of that last one!). When they ask about company preferences, it’s not just about your industry. It’s also about your preferences on autonomous or group work, if you’ll travel or not, what benefits are important to you, and other aspects that will help them pinpoint an opportunity for you. When it comes to salary expectations, your recruiter just wants to get a ballpark number so they can get you an offer that aligns with what you’ll actually accept and even be excited about. After your recruiter gets to know you better, they can begin submitting your resume to employers with positions that match your goals. You’ll then need to meet with the hiring manager at the company they submit you to for a formal interview. Your recruiter likely has a close relationship with the hiring manager and will be able to prepare you for the interview. If the hiring manager loves you – great! They’ll want to offer you the job. The offer will come from your recruiter, who can even help negotiate your salary and benefits if needed. 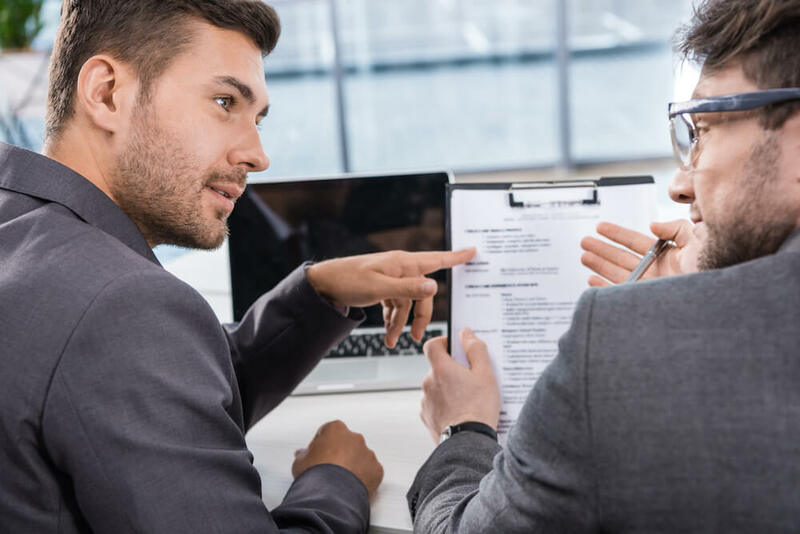 Once you’re offered a job, you’ll likely need a background check and drug test before you can officially sign on the dotted line. If everything checks out and you want to work with this company – and if you’ve negotiated anything else that wasn’t included in the offer package – it’s time to accept! By this point, you have a new job that meets your goals, aligns with your values and excites you about your future. Not to mention, a job that was so easy to get that you probably went about your day to day life while all the searching and negotiating happened behind the scenes (with someone else doing most of the work). If you want to learn more about the recruitment process, check out these additional benefits of working with a recruiter.